HALL, H. R. Catalogue of Egyptian Scarabs, Etc., in the British Museum. Volume I. Royal Scarabs. Printed by order of the Trustees. London: British Museum, 1913 4to. xxxvii,310pp. plate, 1518 full-size illustrations from photographs and line drawings, biblio., index. 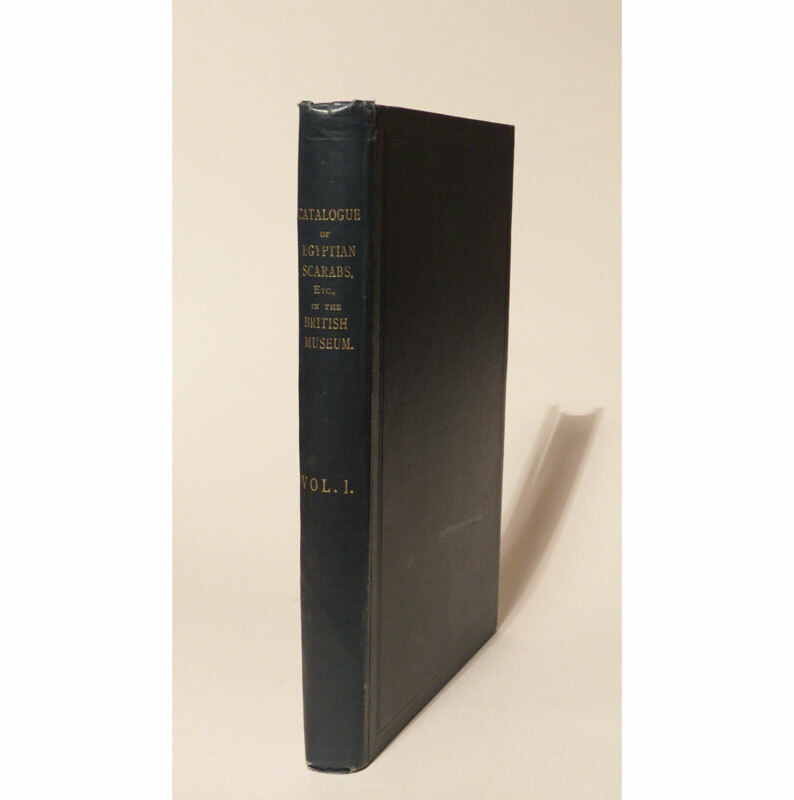 E. A. Wallis Budge states in the introduction: “This volume contains full descriptions of 2,891 royal Egyptian Scarabs, Cylinder-seals, Seal-amulets, etc…. Taken as a whole, this collection of Royal Scarabs, which, however, only forms one-fifth of the Scarab Collection in the British Museum, is the largest and most important in the world,…” No further volumes were published. Sections a little loose, with the signature of M. Cassirer dated 1953 to the end-paper, neat ownership stamp of Nicholas Reeves to the verso of title, a good copy of the most important catalogue of Royal Scarabs.